Ansell is a company that makes protective products for manufacturing applications. These samples are cutouts (because of size) from a run of ads I wrote for the specialized HyFlex work gloves and was part of a branding and advertising project I worked on with Catapult Thinking in Boston. 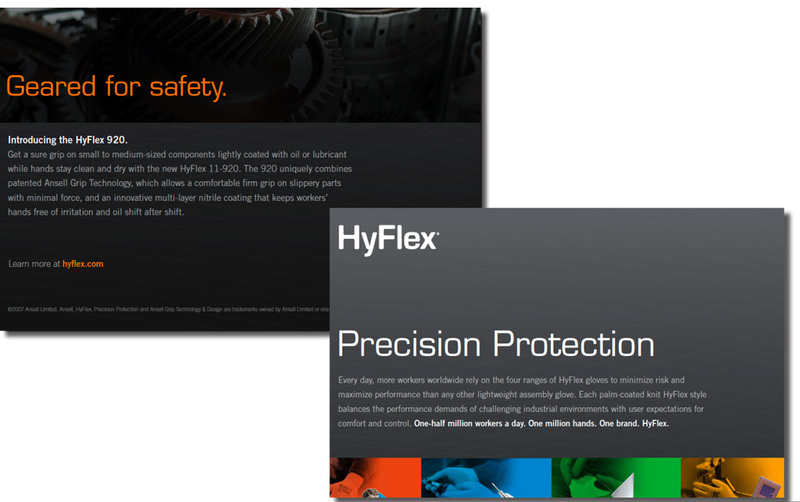 I also developed a comprehensive brand strategy document for all the company’s HyFlex work gloves, which analyzed competitors, identified market opportunities, and made recommendations for a brand architecture and product naming strategy.